We are TexGreen - a textile recycling company, which strives to provide easy and convenient public recycling solutions for unwanted textiles. 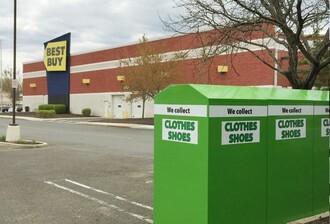 Our well-maintained recycle bins can be found in various retail locations, throughout the states of Washington and California. We strongly believe that clothes recycling should be easy and accessible to everybody. Here at TexGreen, we are committed to running an environmentally conscious business and achieving complete utilization of collected second hand clothing, to guarantee a cleaner and happier world. 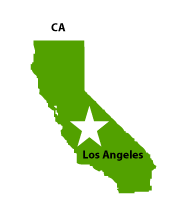 We collect and sort unwanted textiles in the USA for recycling, through re-use and re-wearing and we aim to create an eco-friendly alternative to the textile wastage. Our professional drivers service our bins twice a week, while maintaining the appearance of the area around them, as well. Our fun and attractive bins measure 3.5’ x 3.5’ x 7’ – less than ¼ of an average parking space! 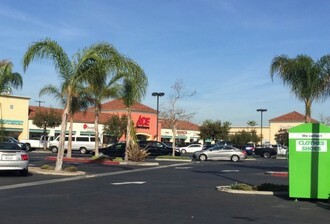 We guarantee 100% satisfaction to any of our partners, or we will remove the bins immediately. Each one of our bins has been insured! - Brings you an effortless income! - Absolutely no cost to you! - Shows your customers how environmentally responsible you are. 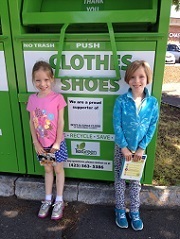 Give all your clothes, shoes, and linens for reuse or recycling. 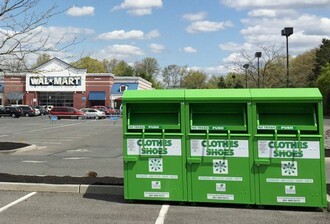 Damaged clothes and linens aren’t garbage anymore. Up to 95 percent of the clothes, shoes, and linens thrown in the garbage could have been reused or recycled. 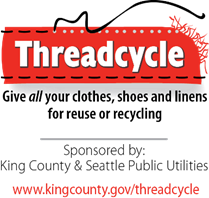 We want all your clothes, shoes, and linens for reuse or recycling – even damaged ones – in any condition except wet. L.E.A.D. IS A NON PROFIT (501C3) ORGANIZATION, SUPPORTED BY DEDICATED POLICE OFFICERS,COMMITTED TO PROTECTING OUR YOUTH AND COMMUNITIES FROM THE PROLIFERATION OF DRUGS,DRUG RELATED CRIMES, PEER TO PEER/CYBER BULLYING AND VIOLENCE. For a list of our bin locations, please contact us at: info@texgreenteam.com or send us a message. © 2012 TexGreen Ltd. All rights reserved.